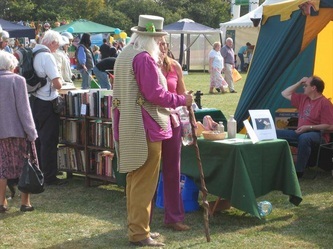 The event is based around a central arena, and includes a number of attractions - including history exhibitions, produce competitions, children’s entertainment, music tents and refreshments. 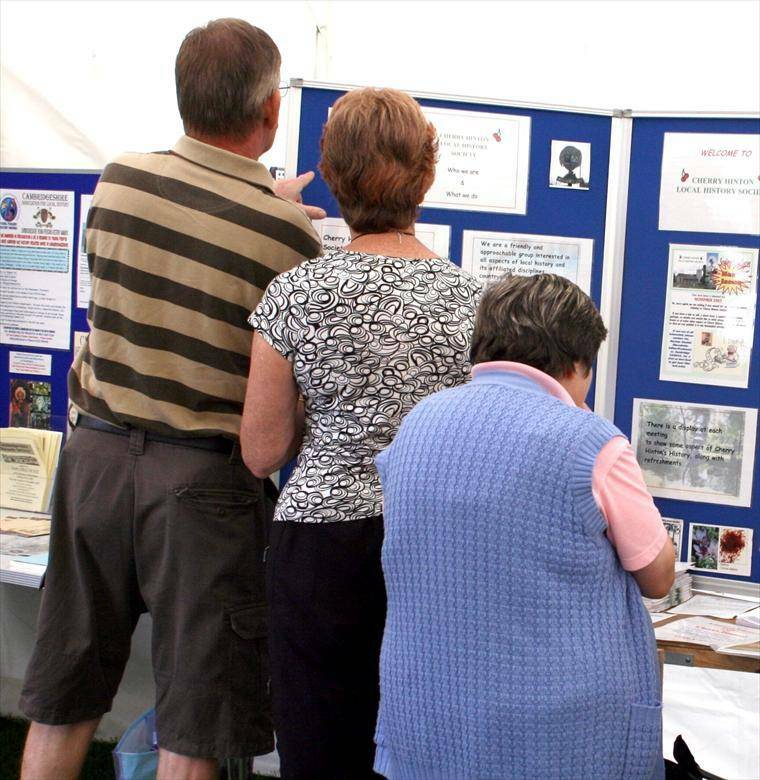 There is also an average of 75 stallholders that include craft, local groups, charity and information stalls. Over the past four years the history exhibition has grown in size and draws a huge amount of interest. In 2009 we were able to present the first ever Cambridgeshire History Fair! 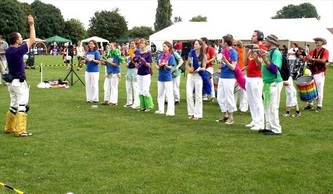 This event was run on the same day, time and the same site as the main Cherry Hinton Festival. 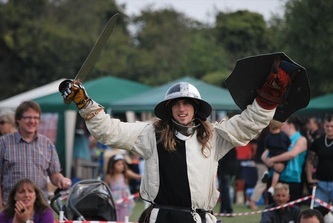 Although a separate attraction in its own right the History Festival is an integral part of the main Cherry Hinton Festival. 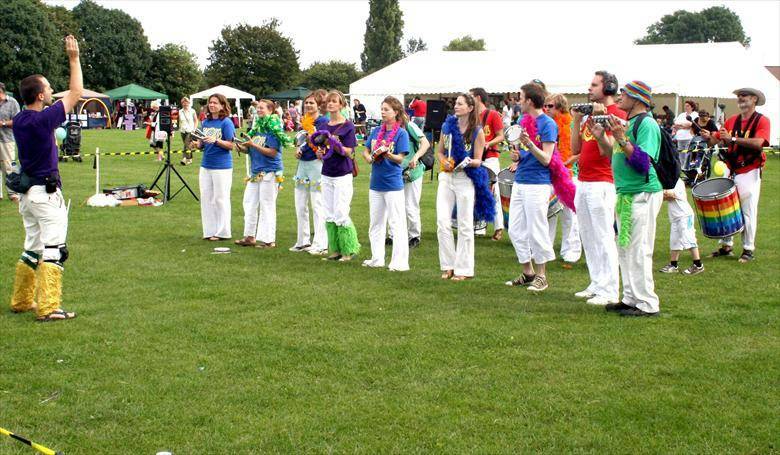 We are pleased to announce the return of the fantastic Cherry Hinton Festival for 2011, after a much needed break last year! This means that the 2nd Cambridgeshire History Festival will also take place, to which you are invited to come along and have a stand. It is a fantastic opportunity to promote yourself/your group, network with other like-minded people & organizations and have a great day out! 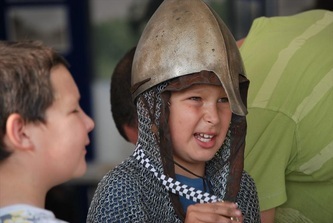 Stalls for the history fair include a diverse range of related disciplines. The history fair covers history, archaeology, local history, archives, family history, architecture, natural environment, museums, re-enactment and much, much more…..
CLICK HERE FOR BOOKING INFORMATION!!! 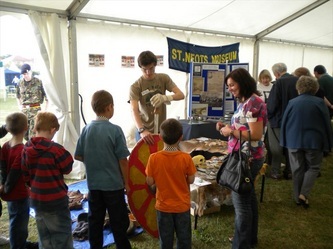 Some great pics from our last Cambs History Fair! 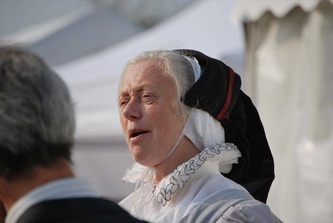 The Folk Museum was set up in 1936 by leading members of the town and university with the aim 'to interest the ordinary citizen in aspects of local social life which were fast disappearing in Cambridgeshire', an ethos which is still held today. The museum is housed in a 17th-century timber-framed building, which was formerly the White Horse Inn for 300 years. The wonderful and varied collections are displayed in nine room settings including the bar, the kitchen, the fens and folklore room and the playroom. Each room is filled with intriguing objects, some dating back to the 1600s, as well as familiar household items. These displays come to life with our temporary exhibitions, which encourage visitors to explore life in the past. For more information click on the name link above. CAFG was formed in 1978 to carry out practical archaeology in the Cambridge area. Our purpose is to contribute to the archaeology of the region through our own field research, while also assisting the County Archaeology Service and co-operating with other interested groups or individuals. We also try to promote interest in archaeology through activities such as talks. We are a group for local people, actively undertaking archaeology mainly through fieldwalking and excavation. For more information click on our name link above. BALH offers conferences, events and guided visits, and publications to help your local history research, plus insurance scheme for societies. Our purpose is to encourage and assist the study of Local History as an academic discipline and as a rewarding leisure pursuit for both individuals and groups. For more information click on our name link above. Group aims to promote the study and knowledge of local history, particularly in Hardwick but also in the surrounding area. The Society meets six times a year with talks ranging from early to modern history, and one field trip. For more information click on our name link above. Cambridgeshire's historic environment bears evidence of 500,000 years of human activity - ancient sites, monuments and landscapes, historic towns, villages and buildings, ancient features and finds. Archaeology is the discovery, study and understanding of this evidence. Cambridgeshire Archaeology works in partnership with others to protect and enhance Cambridgeshire's historic environment. For more information click on our name link above. 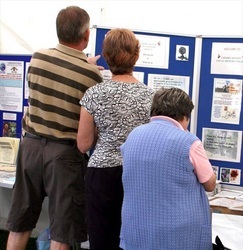 Cherry Hinton Local History Society was founded in 1982 to study and share local collections. Since then the society has grown in enthusiasm and size, welcoming and sharing information from other surrounding areas. We are a friendly and approachable group interested in all aspects of local history and its affiliated disciplines countrywide. Aiming specifically to promote and encourage the study of local history of Cherry Hinton and preserve its heritage. We also have a keen interest in surrounding areas. We have monthy lectures. For more information click on our name link above. 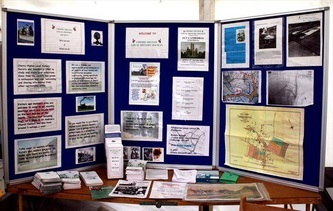 One of the key aims of the Association is to advance the education of the public in the study of local, social, and family history, throughout the county of Cambridgeshire. 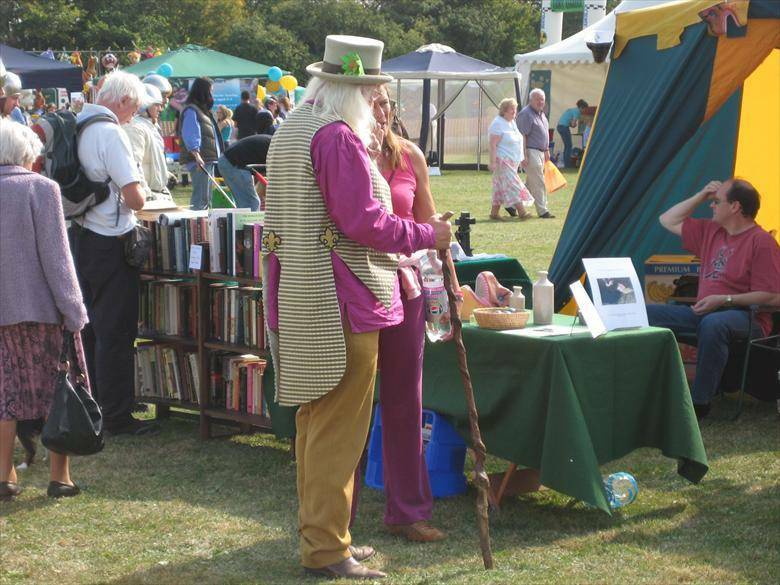 We hold lectures and trip and we provide an umbrella service for all the local, family and social history societies, groups and clubs in the old county of Cambridgeshire. For more information click on our name link above. 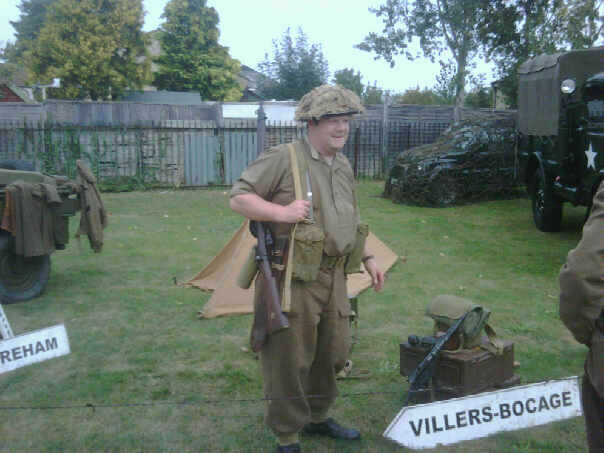 Re-enactors with a brilliant collection and display. For more information click on our name link above. Re-enactors with great information on what it was like to live in Britain through World War II, they have their own living history group which attends shows in East Anglia and they have a fantastic collection of authentic vintage items. For more information click on our name link above. 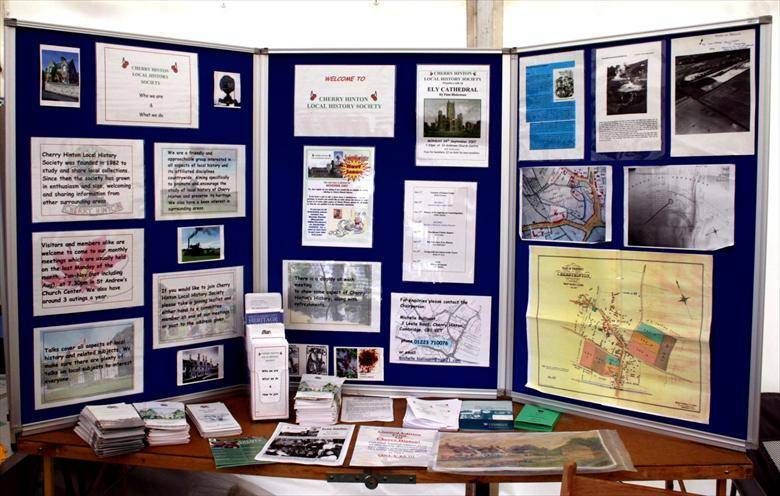 Part of the Cambridgeshire Community Archives Network (CCAN) The Cherry Hinton group gathers and presents old photographs, picture, oral history and the living history of the Cherry Hinton area. For more information click on our name link above. 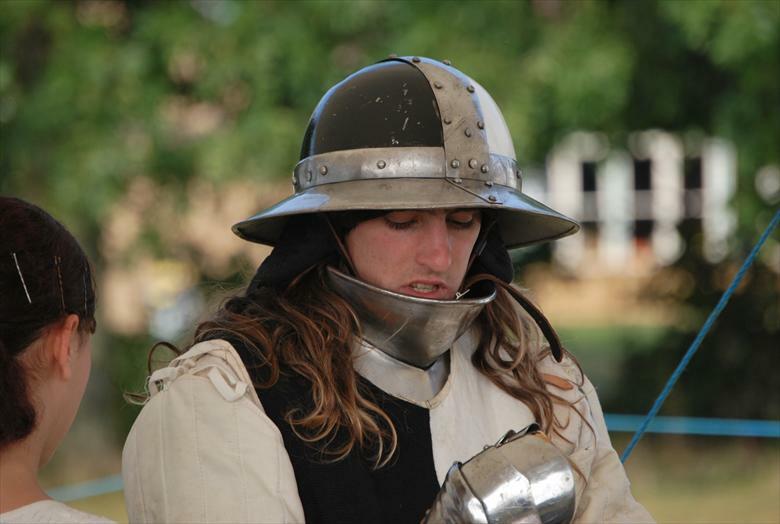 The Company of St Jude was formed in 2003 by two gentlemen belonging to a viking society wishing to move into the medieval period and become two lone ranger mercs. Initially a group hadn't been planned, but with no others in the area The Company was formed and continues to grow. 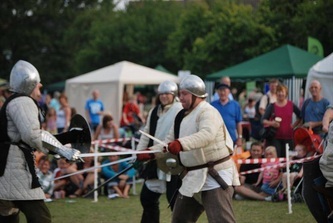 Nowadays the group provides historical displays in Cambridgeshire on the War of the Roses period as well as fielding in larger battles as a small skirmishing unit in black and white tabards. For more information click on our name link above. The Society exists to encourage the study of family history within the old counties of Cambridge and the Isle of Ely. It offers a friendly point of contact for people world- wide who are interested in the same names and families, and also provides a wide range of facilities to support their researches into genealogy and the local area. For more information click on our name link above. Local filmmaker producing family history films on DVD from your photos and stories. Whether telling your stories, sharing memories, bringing your family tree to life, recording a legacy or capturing a special event, Beautiful Memories will create a film to be an everlasting treasure. We deliver your film as a DVD presented in a personalised case. For more information click on our name link above. The Cambridge Antiquarian Society was founded in 1840 to provide access for local people to the local history, architecture and archaeology of Cambridgeshire. There are monthly lectures, conferences, and an annual publication available to members. For more information click on our name link above. Discover how 100 years of the Wildlife Trust has helped your local environment. From the first nature reserve to one of the newest, Cambridgeshire is at the heart of nature conservation. For more information click on our name link above. The Cambridgeshire Records Society publishes editions of original documents relating to Cambridgeshire and the surrounding area. For more information click on our name link above. 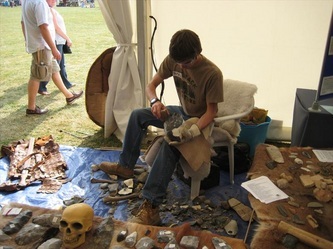 Oxford Archaeology East is an Educational Charity and has investigated the archaeology of Cambridgeshire for the past 20 years (previously as CAMARC, the Cambridgeshire County Council Archaeological Field Unit). 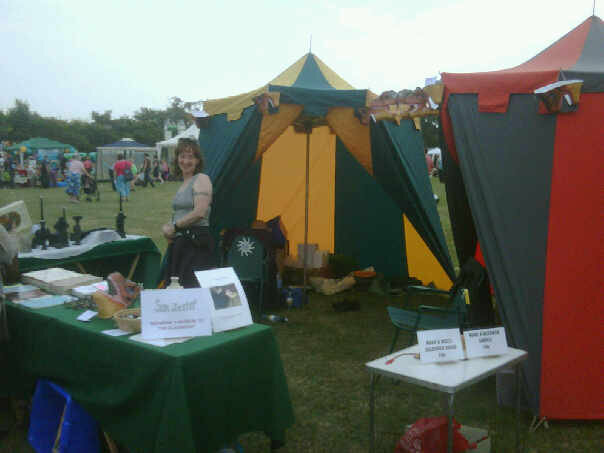 OA East also works in partnership with Cambridgeshire Archaeology, delivering outreach for the county. For more information click on our name link above. The Society was formed in 1979 to stimulate public interest in the history, care and preservation of our villages. Our monthly lectures are held on the last Tuesday during the term at 7.30pm at Impington Village College. For more information click on our name link above. We are a small friendly Cambridgeshire based historical re-enactment society, currently specialising in Vikings, Crusaders and Pilgrims. Looking for new members. For more information click on our name link above. The museum is based in Cambridge’s Victorian sewage pumping station on Riverside. It exists to preserve and display the industrial heritage of Cambridge and the district. Based in the original sewage pumping station for Cambridge, the Museum of Technology exists to preserve and exhibit material that is relevant to the Cambridge area, either by its use or its invention. For more information click on our name link above. Cambridgeshire Archives is the principle record office for the city and county of Cambridge. Currently it is running the Cambridge City Archives Project, which will be exhibited at the fair. For more information click on our name link above. The Society aims to stimulate interest in and maintain the historic character of the village and to develop and improve its amenities and environment. A feeling of community is fostered by arranging informative open meetings, normally on the third Tuesday of each month at 8.00 p.m. in the Village Centre, on a wide range of subjects of local and general interest. In addition there are purely social get-togethers such as theatre trips and wine tasting evenings. For more information click on our name link above. 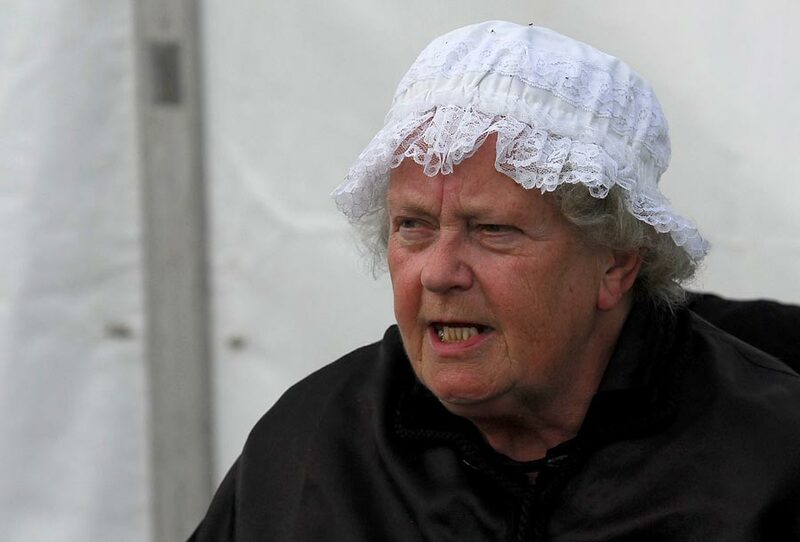 Maureen James tells stories in museums and at heritage sites for many years. A former Director of the Society for Storytelling, and a member of Equity, she also tells stories in schools as part of the history and literacy curriculum. For more information click on our name link above. 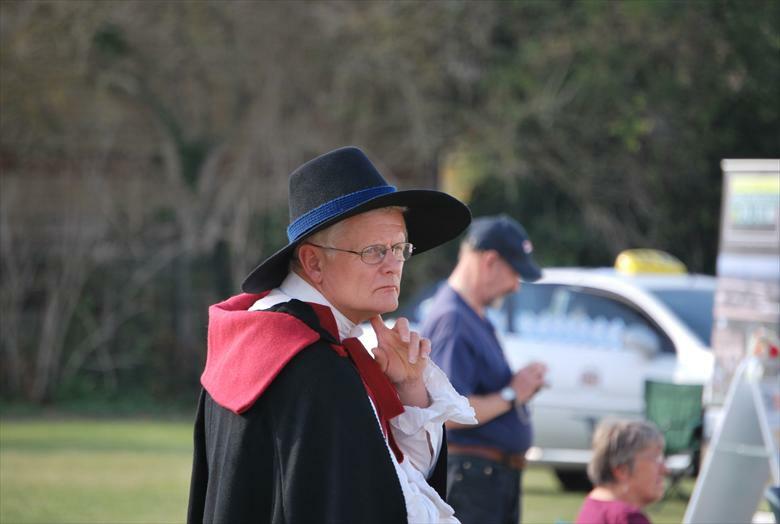 Formed in 1999, Fulbourn Village History Society has maintained a loyal and supportive membership base from amongst local residents of Fulbourn, Cambridgeshire and neighbouring villages. For more information click on our name link above. In September 2007, the Trumpington Local History Group became a formal society. We research the history of Trumpington and its environs. We organise meetings where members can share the results of their research, and where outside speakers can present matters of local historical interest. Meetings are held about four times a year mainly at Trumpington Village Hall, High Street, Trumpington, usually at 8.00 pm and the usual entrance fee is £2.50. For more information click on our name link above. 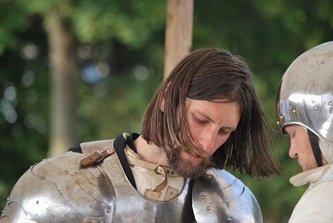 Specialists in providing live Historical Interpreters for Education and Events, Black Knight Historical as founded in 2004 and has clients across the country. We are delighted to attend the History Fair. Making a special appearance will be King Henry VIII and Queen Catherine Howard. We have a range of historical characters and shows spanning over 2000 years from the Roman occupation through to the 1940’s. For more information click on our name link above. The Cambridgeshire Geology Club was formed in November 1984 and was created at the time to replace the “Geological Section” of the University of Cambridge, Natural History Society which ceased to exist about this time. The Club is open to all grades of interest in geology. Since 1984 the Club has grown considerably and welcomes professional and amateur geologists alike and caters for all ages, everyone is welcome to join. For more information click on our name link above. The Grade I listed Prebendal Manor House is the earliest surviving dwelling in Northamptonshire. It forms the focus of a group of stone buildings, which includes a 16th century dovecote, a large 18th century tithe barn and a 15th century lodgings building.Alan Titchmarsh described the gardens as a "stunning example of a recreated medieval garden". ( Royal Gardeners Pub., BBC, 2003). The gardens were established to represent both the practical and decorative features that could be found in a high status garden between the 13th and 15 th centuries. The plants have been selected from several plant lists. These include the earliest English gardening book by 'Jon Gardener' and a 15 th century 'Leech Book', that contains the sort of medical recipes that Nicholas Colnet, who was physician to Henry 5th during the Agincourt campaign in 1415. Our award winning museum was set up to display the results of the archaeological excavations at the Prebendal Manor and the history of Nassington . 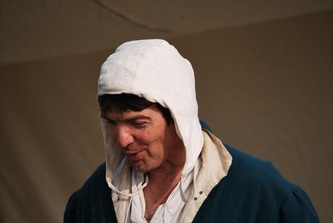 The museum provides a fascinating insight into the history and people of Nassington. For visitors wishing to research their family history the museum holds an extensive archive of Nassington photographs. Activities for children include dressing up, quill pen writing, musical instruments, corn grinding, garden trails and the quest. For more information click on our name link above. Interactive Historical Guides on CD-ROM Covering Cambridge, Cambridgeshire & Oxford By Hugo Brown. For more information click on our name link above. The Museum started out as bits of broken pottery kept in a shoebox by four-year-old Craig Delanoy in the village of Haddenham in 1969. The collection, which now consists of over ten thousand objects, focuses on the farming and rural life of north and south Cambridgeshire which also incorporates a bygone collection by Frank Fossey of over two thousand objects. Where can you find stories of countesses and fighting monks, country craftsmen and farmers all in a magical setting of ancient walls and peaceful stone ruins? On a site that has been farmed for over 2000 years, right up to the 1950s. The Farmland Museum and Denny Abbey is on the doorstep of Cambridge, just off the A10 from Waterbeach. A fascinating historical site for all the family to enjoy! For more information click on our name link above. A lively local museum tells the story of this busy market town on the River Ouse, from prehistoric times to the present day. The Museum ocupies St. Neots Victorian Police Station and Magistrates Court building, in the town centre. Here you will fine a wealth of objects and information packed into a small space. For more information click on our name link above. 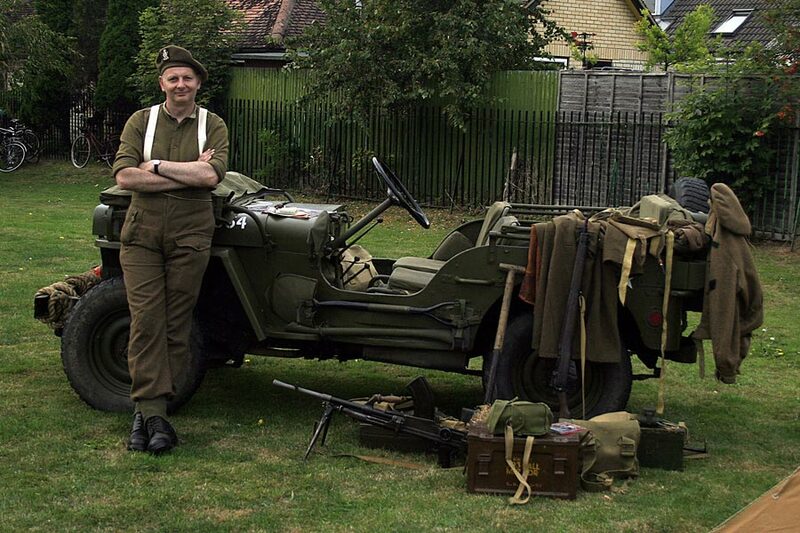 David Taylor will be bringing along his impressive display of Lancaster equipment and related parts. This great collection includes the Lancaster flight panel. Pre-Construct Archaeology Limited is a well-established independent archaeological company specialising in providing appropriate solutions to heritage problems. PCA is committed to encouraging an interest and participation in heritage within the wider community. We run a range of initiatives which help people of all ages and abilities to get involved and learn more about our fantastic heritage. This includes free events, lectures, talks, exhibitions, open-days on major archaeological excavations, and the opportunity to partake in voluntary work. We also offer a comprehensive work experience programme as part of our commitment to training and supporting people who may be looking for a career in the Heritage Sector. For more information click on our name link above. Ghost writer - Ghosts of Marshalls Airport - 'The Men That Never Clocked Off' author.